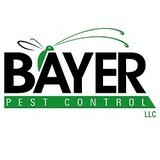 Bayer Pest Control is a full service exterminator treating most common pests including bed bugs, ants, cockroaches, mice, and bees. We are professionally trained and licensed. Our customers love that we are environmentally conscious and strive to reduce pesticide exposure. 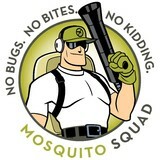 We do more than treat your home for bugs. We look for mechanical changes to your property that can improve your quality of life. This is known as Integrated Pest Management. All Star Fence 3921 Graham Dr Beavercreek, OH 45431, United States 937-458-3558 allstarfence01@yahoo.com <a rel="nofollow" target="_blank" href="http://www.fencecontractordayton.com/">http://www.fencecontractordayton.com/</a> A quality fence protects your home, family, and privacy. That’s why All Star Fence in Dayton, Ohio, manufactures and installs the high-quality, affordable fences homeowners deserve. From white picket fences to chain link fences, the trusted company provides the extensive range of options you need. The professionals at All Star Fence pride themselves on their commitment to affordability and professionalism. As a locally owned company that truly cares about their community in Beavercreek and beyond, their experts believe everyone deserves a reliable, aesthetically pleasing fence that will meet their individualized needs. That’s why they stick to their motto, “The Best Fence For Less Expense!” every time. Whether that means an emergency repair or a brand-new privacy fence, they will respond promptly and complete the task efficiently and affordably. That way, you can return to enjoying your outdoor space. From large softball fence installations to backyard privacy fencing, the expert technicians at All Star Fence provide a variety of options for every occasion. Whether wood, vinyl, or chain link works best for you, they will ensure you receive the highest-quality materials and installation quality. For the best fencing company in the Dayton area, look no further than All Star Fence. Staffed by friendly professionals who are also leading experts in their field, clients receive the personalized, warm, and experienced support they deserve. To receive a free estimate, call today at (937) 458-3558. For more information about fencing products and services, visit the company’s website. Unwanted guests are never fun, especially when you can’t ask them to leave. Luckily, Englewood pest control companies have no problem kicking them out. Whether there’s a rodent in your basement or insects in the attic, call your local Englewood exterminator to take care of them — do not try to wrangle them out yourself! Not sure which type of home pest control service in Englewood, OH can tackle your issue? Read profiles and ask about their past experiences to get a good idea.